Nabil Fekir agreed to sign a new improved contract with Lyon during this campaign despite several offers from the Merseyside club. This is bad news for Liverpool as they need a creative midfielder to strengthen the front-line and France international is the best option in this situation. He has an amazing campaign and proved his greatness one more time. German manager ready to pay big money for the footballer during the summer transfer window. Real Madrid, Chelsea and Tottenham also interested to sign him and there will be a real battle for the footballer. His price could increase and become much more. Nabil spent his years of youth with the French club and amazed everyone with his abilities. He is one of the best attackers in Europe and a key figure for the club. 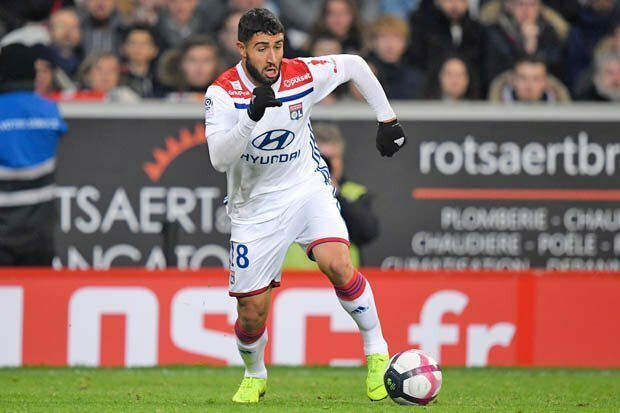 In this season, Fekir already played 25 matches, scored 10 goals and made 5 assists in all competition. This is an impressive result and he can do much more with high-class teammates. The French midfielder is contracted with the Les Gones until 2020 and his release clause is around €70m. He is a regular member of the Les Bleus squad and also helped them to win the 2018 World Cup which is already a big achievement for the footballer. Reds will do everything to add him during this summer as Alex Oxlade-Chamberlain has a serious injury and his back-up is necessary. Liverpool were close to signing him last summer but the deal failed. Probably the 25-year-old attacker will accept the correct offer from the Merseyside club.